Home › Blog › X-ray machine needs 90kvdc high voltage cable 6m? 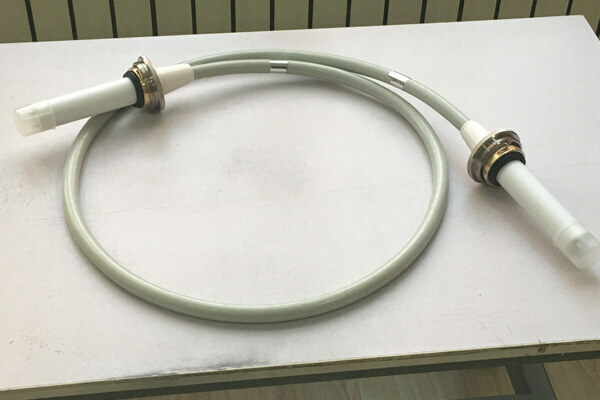 The 90kvdc high voltage cable 6m is used for high-voltage resistance, which is connected to the X-ray tube and the high-voltage generator on the X-ray machine to deliver high pressure. Among them, the suspension X-ray machine meets the requirements of complex clinical positioning, which can be used for photographing with vertical position (chest, neck, limbs), horizontal position (lumbar lateral position, front and back position, patella lateral position, etc. ), sitting position and various projection angles. The High Voltage Cable plays an important role. By connecting the X-ray tube and the generator, the generated high pressure is transported to the suspension X-ray machine to drive the operation of the X-ray machine. As the suspended X-ray machine is relatively large, it generally USES 90kvdc high voltage cable of 15m or 20m, which can meet various demands. Secondly, when using 90kvdc high voltage cable 6m, attention should be paid to prevent excessive bending.The bending radius shall not be less than 5-8 times of cable diameter to avoid cracks and reduce the insulation strength. The connecting head of Newheek 90kvdc high voltage cable 6m can also be selected according to their own needs straight or curved. It can also provide quality testing services. According to the actual situation and your X-ray machine type, we will recommend the appropriate length of 90kvdc high voltage cable 6m for you.